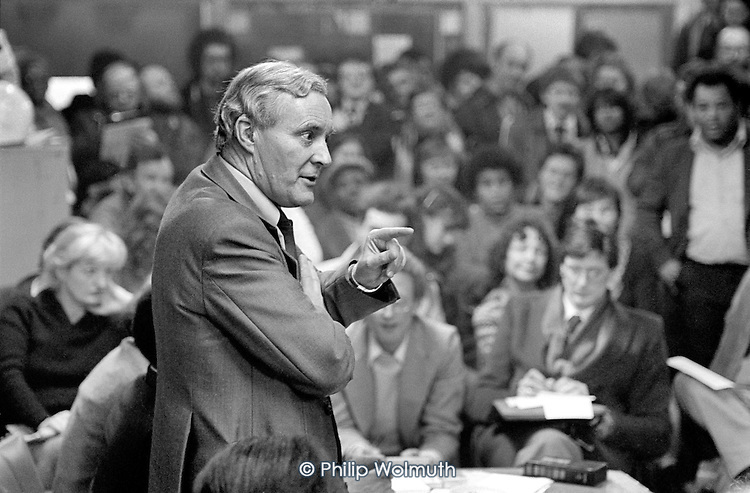 LEAP economics: Tony Benn: "What a world we would have created if we had listened to him"
Tony Benn: "What a world we would have created if we had listened to him"
LEAP chair John McDonnell MP spoke in Parliament yesterday (20/03/14) paying tribute to Tony Benn (click to watch via Youtube). "I want to go back not to the manifesto of 1983, but to Labour’s programme of 1982, which was the Bennite programme, and virtually all of it was written by Tony Benn. It is worth looking back at what it said. It was absolutely prophetic. It basically said, “We will create a society that is more democratic, more fair, more just and more equal.” How would we do it? Tony’s ideas in that programme were straightforward: we would undertake a fundamental, irreversible shift in the redistribution of wealth and power. How would we do that? Through a fair and just tax system, tackling tax evasion and tax avoidance, taking control of the Bank of England, preventing speculation in the City and the banks because it could be dangerous to our long-term economic health, and creating full employment. That is what he was about. That is what he inspired us to do. "It is interesting that he said we should invest in housing, health and education; give all young people the opportunity to stay on at school with an education maintenance allowance; and make sure that they had a guarantee of an apprenticeship or training and the opportunity to go to university, not by paying a fee but on a grant. That was his programme in 1982. It was prophetic and years in advance of its time. He said that what we needed to create the wealth was an industrial strategy—a manufacturing base based on new technology and skills. Actually, I remember him talking in one of his speeches about alternative energy sources, well in advance of the debate about climate change. "He inspired my generation and he inspired generations to come. What a world we would have created if we had listened to him. But more important, what a world we can create now if we listen to him. "Solidarity and go well, comrade. You made a significant contribution to all of our lives. I hope we will be able to implement the lessons you taught us, when Labour next gets back into power."